There are just some things that need to be memorized and sight words are one of them. Some kids can remember sight words easily while others need to practice them. The best way to get kids to practice sight words is to have fun with them! 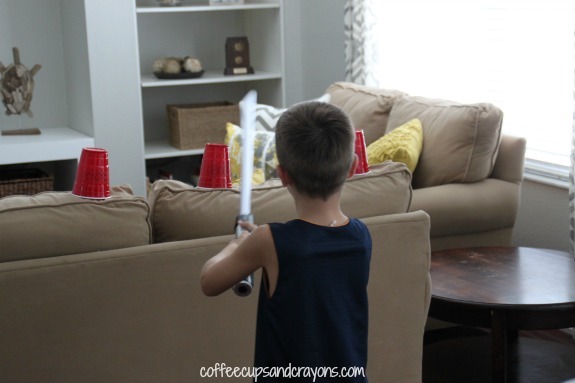 And what is more fun than knocking down plastic cups with lightsabers??? The set-up was simple. We took the cups from our Cup Crash! 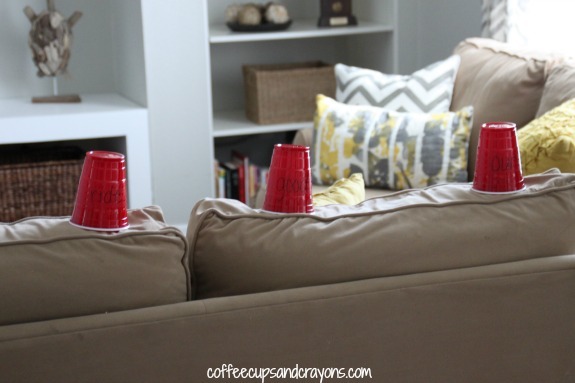 sight word game and set them up on the back of the couch. They were just plastic cups with sight words written on them in marker. 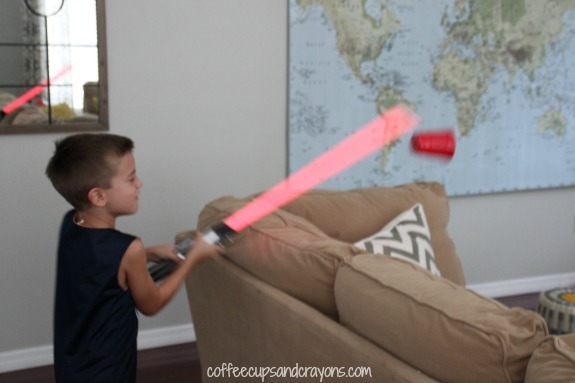 My kindergartner read the word and if he was right he got to knock the cup down with the lightsaber! As you can see this one was a hit! 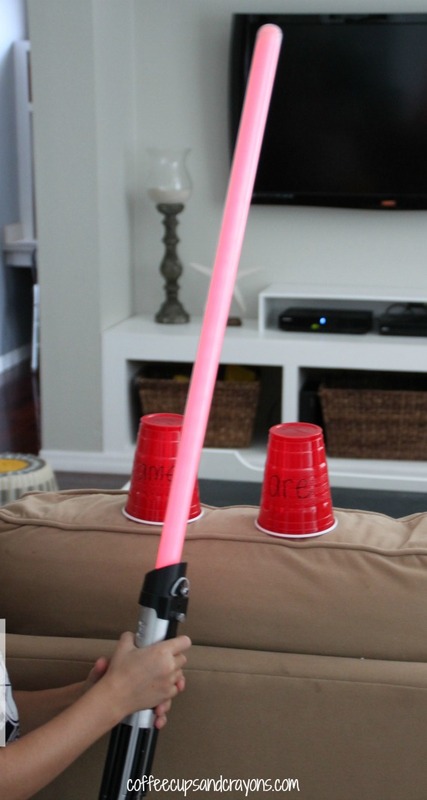 You could use lightsabers to practice letters, colors, shapes, numbers, math facts, and more! We love to Move and Learn! Each week we are joining with The Pleasantest Thing, Hands on : as we grow, and Toddler Approved to share fun and active educational ideas. …and the rest of my Move and Learn posts! My son loves to play with his toy light saber. This looks like great fun! I have some kids who will LOVE this! What a great idea! Boys especially will appreciate getting to smash things, even if they have to learn in the meantime. What good Padawans you have! Yes! And they loved your compliment!